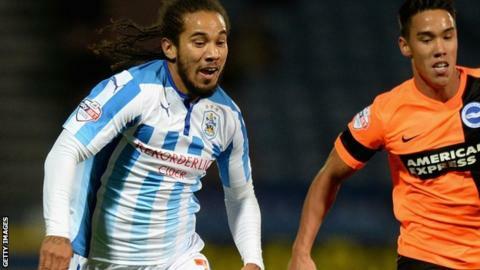 Huddersfield Town winger Sean Scannell has signed a two-year contract extension. The 24-year-old joined the Terriers from Crystal Palace for an undisclosed fee on a three-year deal in June 2012. He has made 87 league appearances for the Championship side so far, scoring four goals. The former Republic of Ireland Under-21 international is the second Town forward to extend his contract this month, after Harry Bunn.